Houseguests, just want to let you know that tonight's Head of Household Challenge has been postponed an hour to 8:30pm ET/5:30pm PT. So sorry for the inconvenience. We will still have the HOH an POV comps tonight, they will just start an hour later. Houseguests, the power is back up for grabs. Jackie Kennedy, as outgoing Head of Household, you are not eligible to compete. Tonight's HOH challenge is called "Catch" and here it's how it will work. 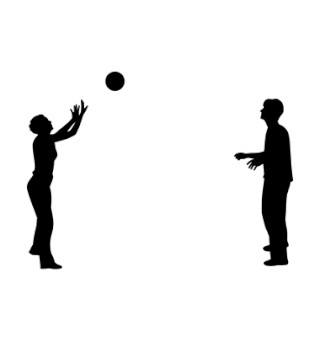 At random times in the next 30-45 minutes, I will post a .gif image of a bouncing ball. When I post the pic, you must be the first person to post the word "catch" on this thread. If you are the first person to post, I will PM you a letter. Your goal is to collect 7 balls/letters. When you have all the letters, you must then unscramble them to solve a 7-letter word related to the game of Big Brother. When you have the word solved, you must post your answer HERE IN THIS THREAD. Keep in mind though, YOU MUST WAIT UNTIL YOU HAVE ALL 7 LETTERS BEFORE POSTING YOUR ANSWER. If after, say, the 4th or 5th letter you think you have the puzzle figured out, YOU CANNOT post it until you collect all 7 letters. If you post the answer before you have all the letters, you will be immediately disqualified from the challenge. The first houseguest to correctly unscramble the letters and post the secret word will be the new HOH. Does everyone understand? Remember that this challenge will be very crazy so you need to keep an eye on this thread. You will be sent your letters via PM. If two people tied for first place, then the people who tied will be getting a letter. As soon as the winner is announced, he or she will only have 15 minutes to post his/her nominations!! !